Over the years, The Lavit Gallery has invited a guest selector to choose artists for an exhibition. Previous selectors have included Liam Ronayne, Michael Quane, Sara Flynn and the previous chairman of the Lavit Gallery, Ken McCarthy. For this year’s programme, the Lavit Gallery invited Virginia Teehan, Director of Cultural Projects at University College Cork, to select an exhibition for us and we are very grateful Virginia has taken the time to make such a considered selection. Virginia has worked in the cultural sector for over 25 years and developed the first Irish institutional university archives service in the 1990s. In 1999, as Director of Heritage and Visual Arts, she was charged with driving the curatorial brief for the Glucksman Gallery, a €13million (privately-funded) project. In 2003 she joined the Hunt Museum as its Director before returning to UCC in late 2009 in her current role. 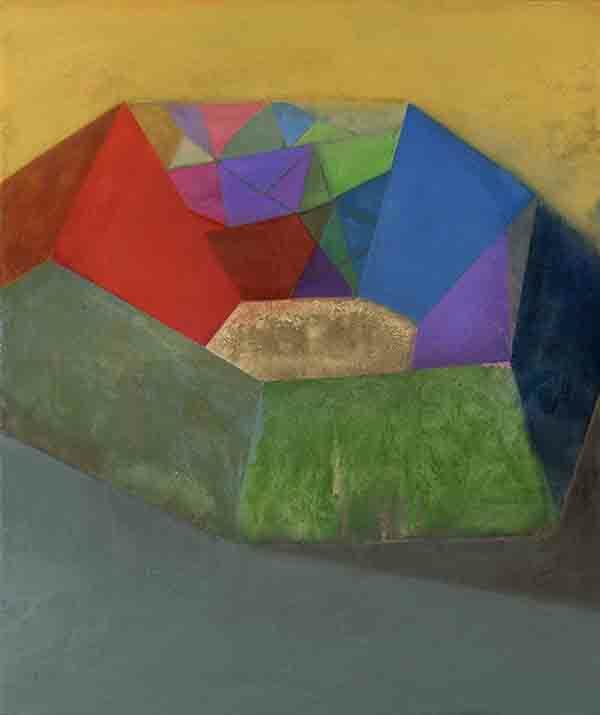 For this exhibition, Virginia has selected Jean Bardon, Tom Climent, Rudolf Heltzel, Annette Hennessy. Brian McMahon, Jane O’ Malley, Michael Quane, John Shinnors, and Walter Verling. 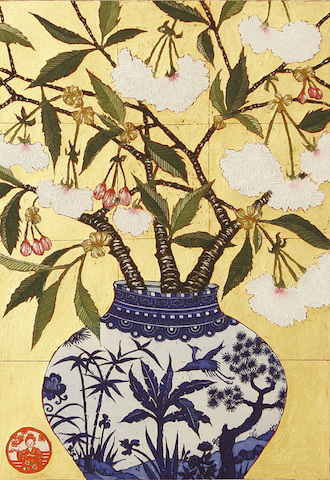 Jean Bardon’s work is influenced by the formality of Botanical Art, while also reflecting her interest in the simplicity of line, form and decorative quality of Asian Art. Bird and Flower was made for an exhibition which took place at Graphic Studio Gallery Dublin in 2016. The brief was to relate to the heritage of Georgian Dublin, specifically Mountjoy Square, which is in the neighbourhood of our studio. I discovered that at the time the houses were built Dublin merchants were importing, through the East India company offices in London, large amounts of oriental goods, including wallpapers on silver or gilded grounds, as there was a great fashion for these exotic articles at the time. 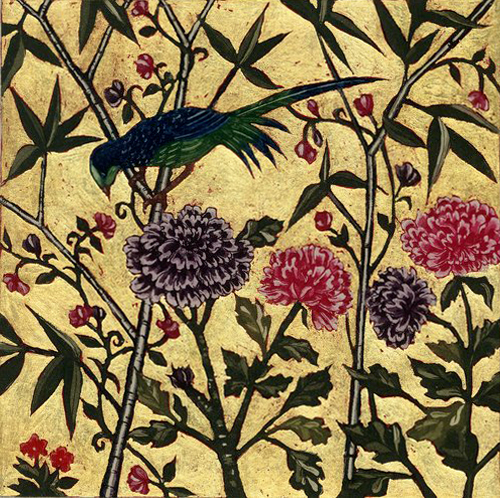 The wallpapers were known as India Papers, often referred to as Bird and flower, due to the subject matter. It is an edition of 30. Imitated from the Japanese was made for a touring exhibition based on the work of Yeats, instigated by SO Fine Art in Dublin. 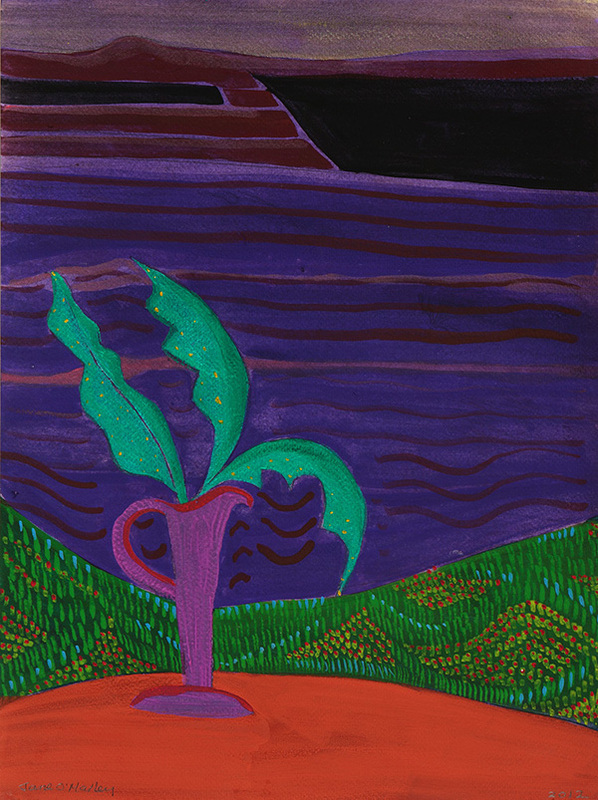 Many artists and writers were invited to respond to the theme of Yeats work for this show. Participants included Colm Toibin, Hughie O Donoghue, Donald Teskey Richard Gorman and Edna O Brien. The show has travelled to London, Beijing and will open in a couple of weeks in Tokyo where there is a great interest in Yeats. My print is in response to the poem Imitated from the Japanese. It is an edition of 40. An icon of Irish craft and design Rudolf Heltzel is one of the finest designers worldwide. On display are two pendants. The ametrine pendant is 18ct yellow gold set with one 21.54ct ametrine (cut by Atelier Munsteiner) and three amethyst/ametrines (cut by Atelier Munsteiner) Eighteen 0.02ct each natural brilliant cut diamonds, all rare white (G) in colour and only very slightly included (VS) On a 44cm 18ct yellow gold round choker. The Amethyst pendant is 18ct yellow gold set with two special-cut amethysts weighing a total of 39.5ct on a hand-made 18ct gold chain. All the gold used is “urban mined”, thereby reducing the environmental and social impact. 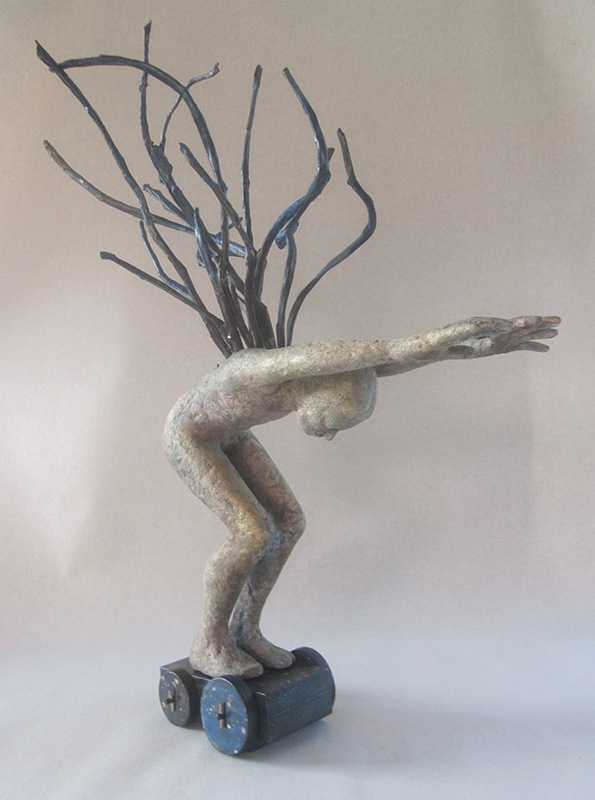 Annette Hennessy makes figurative sculpture. Usually, her work is small in scale, although she has also made larger public commissions. Her favourite medium is bronze, but enjoys experimenting with diverse materials and techniques. Here we are exhibiting two mixed media small-scale sculptures. Brian McMahon is a rigorous and intense painter and is renowned for his richly coloured, heavily worked canvases of Landscape, Still Life and Figurative subjects. Brian has exhibited both in Ireland and Internationally. His vibrant colours and strong brushwork is instantly recognisable. Jane O’Malley was born in Montreal. 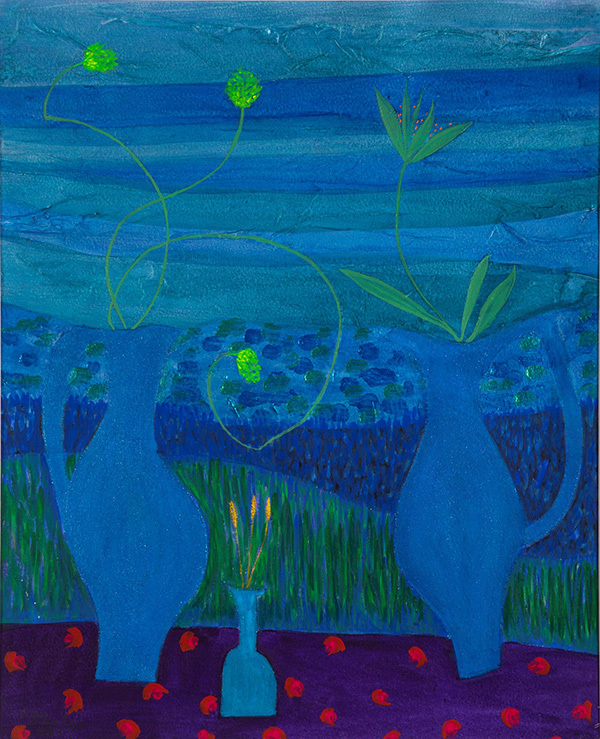 She lived and worked as an artist in St. Ives in Cornwall from 1969 to 1990. The source of inspiration for her work comes from the objects she has collected on her travels or found around her: native jugs and vases, a carved spoon, fruit from the garden. These are then distilled and arranged, giving them a simple presence and the weight of accumulated memory. Michael Quane is a well-known contemporary sculptor who was born in Cork in 1962 and studied science at UCC before attending the Crawford College of Art. 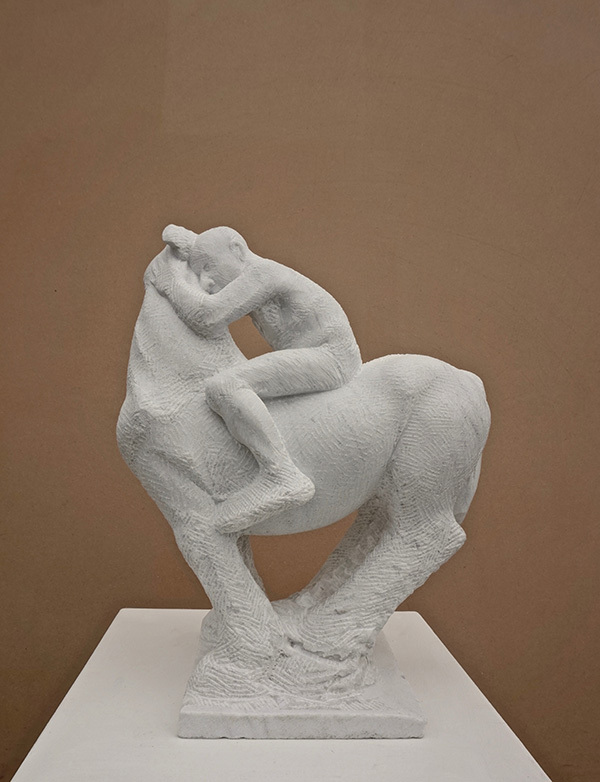 His themes are usually centred around relationships between horses, other animals and people that are rarely at ease, as can be seen in Horse and Rider. 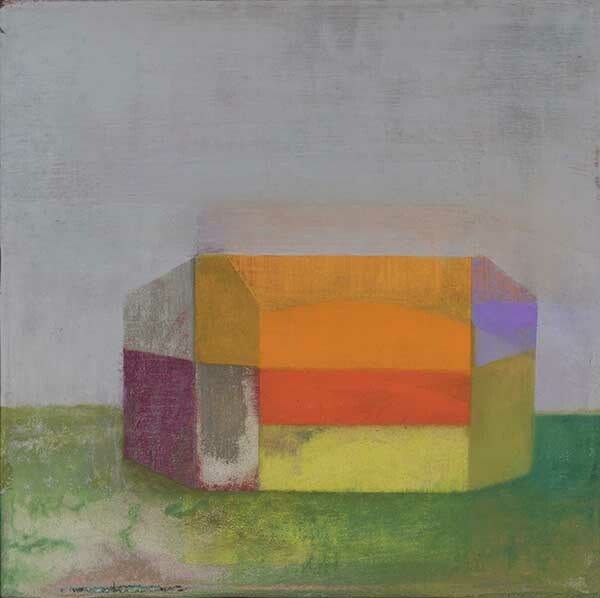 Born in 1950, John Shinnors trained in fine art painting and drawing at the Limerick School of Art and Design. There he encountered the renowned Limerick painter Jack Donovan, whose figurative, bold and adventurous work broke away from a conservative era in Irish art and would become an early source of inspiration for Shinnors. 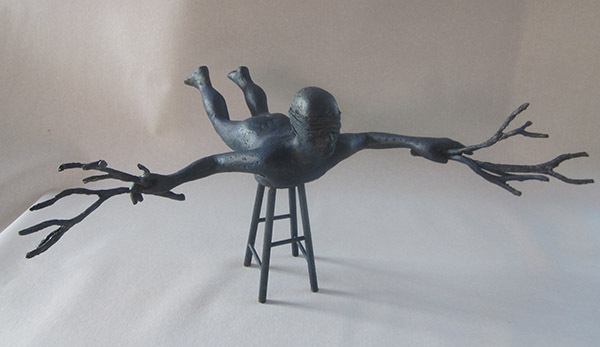 This piece, Trapeze Practice, is actually the last in the edition, only making 6 for a finish. 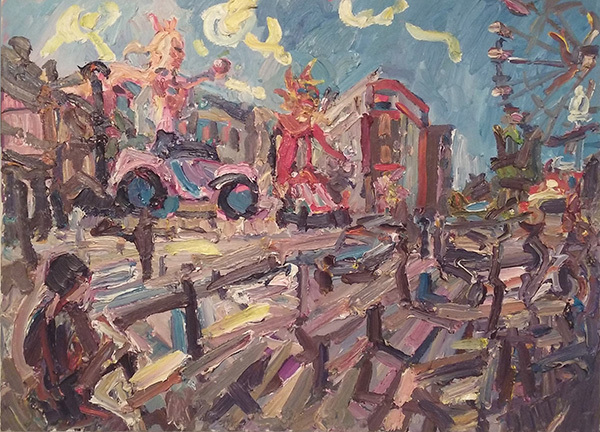 Walter Verling is an influential and highly respected painter who has been engaged in landscape painting since his youth and has remained committed to “plein air”. 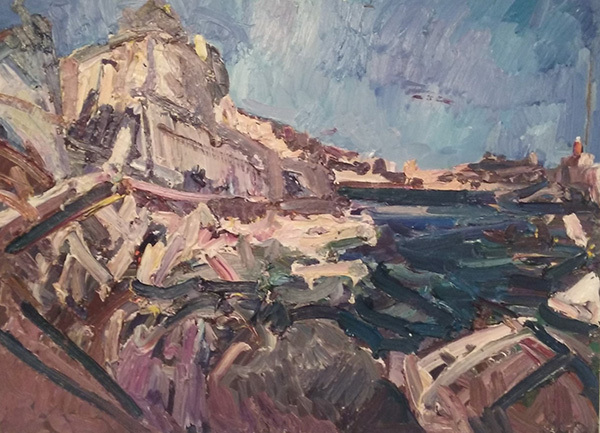 His greatest influence was Charles Lamb the Connemara painter with whom he painted in the 1960’s, he later befriended Cormac Mehegan, painter and noted designer, with whom he has painted for the past 40 years. Promising to be a great exhibition, it will be a showcase of painting, printmaking, sculpture and jewellery by some of Ireland’s finest makers.